This is a unique and comprehensive teacher training program with a specific focus on the chakras and their application toward health and healing. Learn this ancient knowledge, and marvel at how it has been expertly merged with modern science. 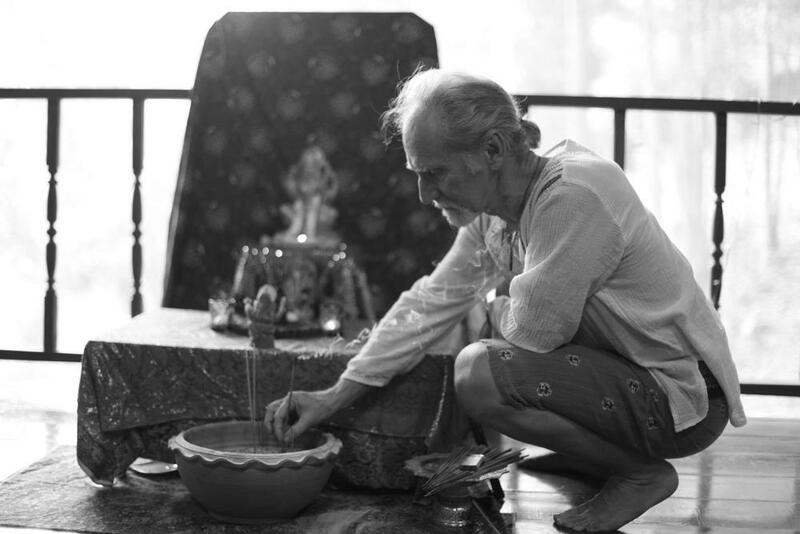 Reflecting the traditional teachings of the Yoga Sutras and the Hatha Yoga Pradipika, the Chakra Yoga System has been taught by David since 1997. This is a unique and comprehensive Teacher Training program with a specific focus on the Chakras. 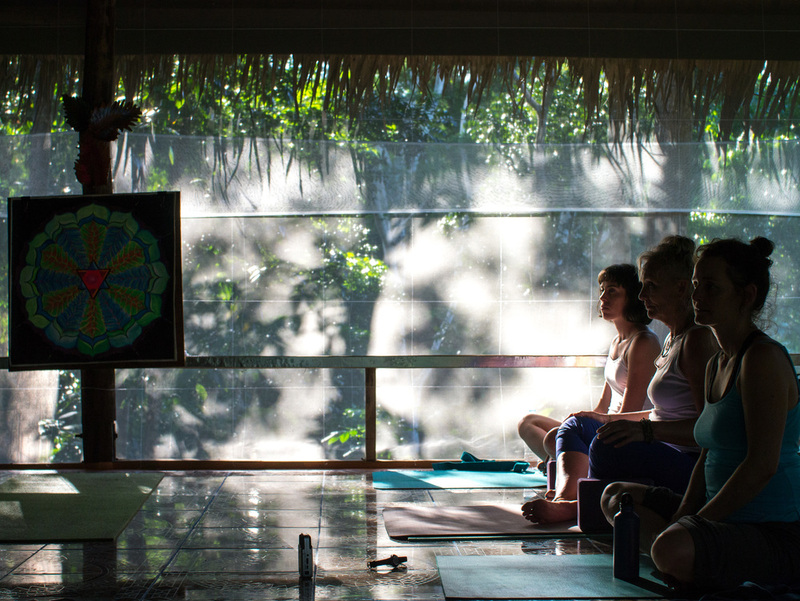 The program includes detailed instruction in the regular asana training, with specific instruction on what to teach and how to teach, assist and adjust with safety and confidence, then steps beyond, going into the traditional view of chakras in ancient cultures, and extending into the understanding of energy wheels from the perspective of the quantum fields of modern physics. The physics part is not done in a dry manner, but with interesting videos and discussions, not done only at a theoretical level, but rather experimentally; students are guided down into the vibrational reality of their own molecular biology. Chakra Yoga Training Teacher at the Pyramid Yoga Center Is a transformational experience. 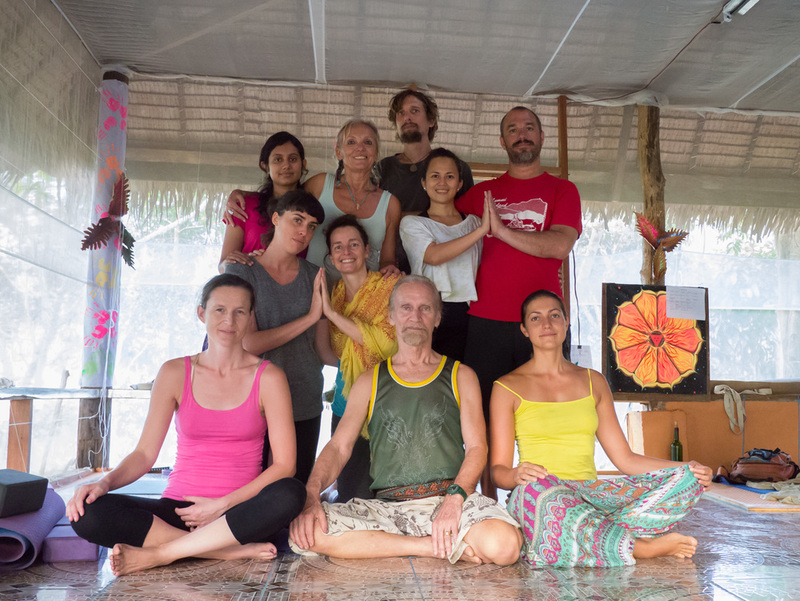 The first part of the course is shared, consisting of two months study before we accredit the participants with 300 hour certificate (though that only counts as RYT 200 hours with the American Yoga Alliance). Third month of this course specialises in healing - in particular, rejuvenation techniques for glands and organs which may have become dysfunctional and evolved into disease. During this time students are taken into a deeper experience and understanding of 'energy' and its role in the mind - body connection, as seen in the science of yoga, supplemented with the methods and techniques to influence, enhance and improve the functions of various glands and organs. Applying this in personal practice activates the self-healing forces within us; then methods of reaching out to help others with this healing skill follows. By the end of the third month, during which time students go deeply into the physiological functions, body chemistry and biology, participants receive a 500 hour certificate and accreditation for RYT500 under the Yoga Alliance USA. Deposit of $500 USD will be asked after registration to confirm your booking. Payment of Deposit is non-refundable but we will give a place on any course in the future (there may be extra charges). Final Payment will be asked 30 days before the course starting date. Physical movements and exercises to stimulate circulation, energy flow and improve flexibility. We teach over 108 asanas and variations, including the body-building Dandhals, which are still unknown in western yoga. Also included are nutrition, diet & traditional cleansing practices. Breathing techniques that bring about balance and harmony in the mind and body through step by step training in proper deep breath control. Systematic methods of breath to clear the past negative emotions, stabilize emotions and for individual healing & empowerment. The exploration of sound vibration and its effects on mind and body, including scientific documentaries on sound and experiences in Quantum Sound Therapy. Daily practices in melody, intonation, pronunciation, rhythmic chanting and singing. 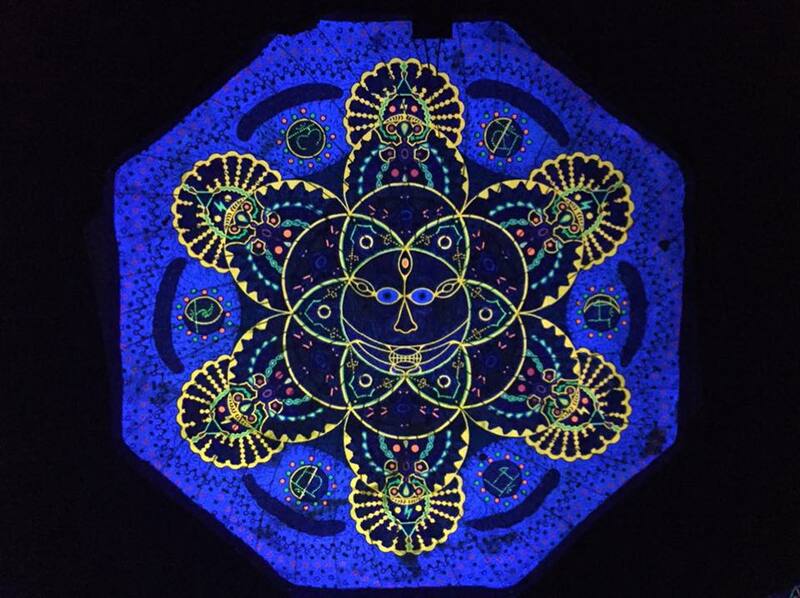 The cultivation and development of the mind through concentration, creative visualization and mandala gazing paired with sound and light. Here we focus our ability to use mind as the pro-creative force to unfold our potential abilities. This is the Royal Yoga for the development of the mind, as practiced by the elite rulers of the ancient society in India. This cultivation of enlightened beings to rule the country was very much part of India, Egypt, and Tibet -> the only remaining society led by an enlightened being instead of a politician. Creating balance and dynamic flows between the masculine and feminine energies of the nervous system. A physical, mental and spiritual discipline for empowerment, developing strength, awareness, character, and consciousness. Discussions surrounding the Philosophy and Science of Yoga and comparative studies of the Chakras. We view Scientific documentaries on modern research in connected fields of quantum physics, neuro-biology, psychology, to develop better understanding of our own brain and body chemistry. Along more conventional lines, listening to or reading traditional texts while reflecting, discussing, assimilating and meditating on their meaning, is part of the program. Practices in spinal manipulations and therapies applied to others, somewhat similar to Thai massage and chiropractic methods. The therapeutic methods applied here lead into more advanced healing techniques to become part of the Rejuvenation and healing part of the course. 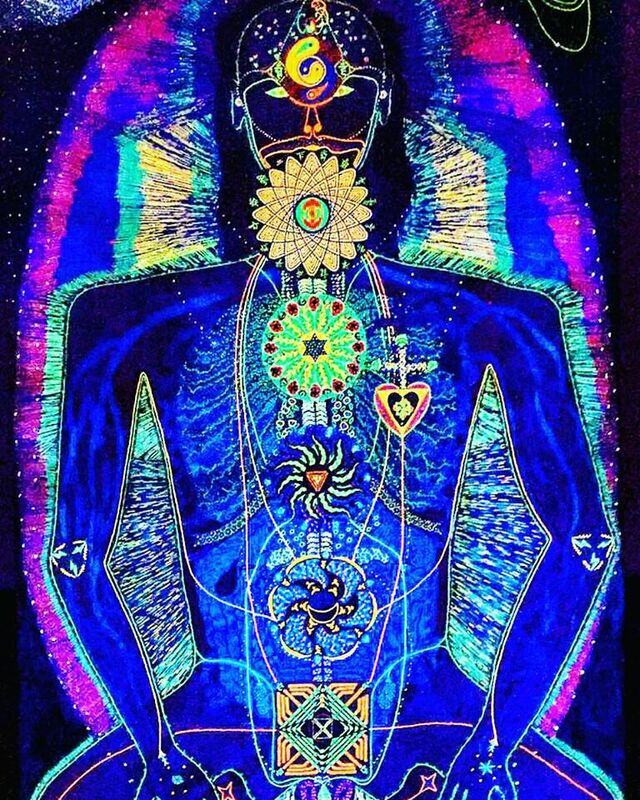 During the third part of the course we go deeply into the physiological functions associated with each chakra, looking at the mind/body connection to find and correct any problems that may potentially be lurking in us. The scientific aspect of our neuro-biology is studied through energetic relations to our body chemistry, with methods to change problems and potential problems in our health. We go in to a fairly elaborate study of physiology at this point, to establish better understanding of how the mind and emotions influence body functions. 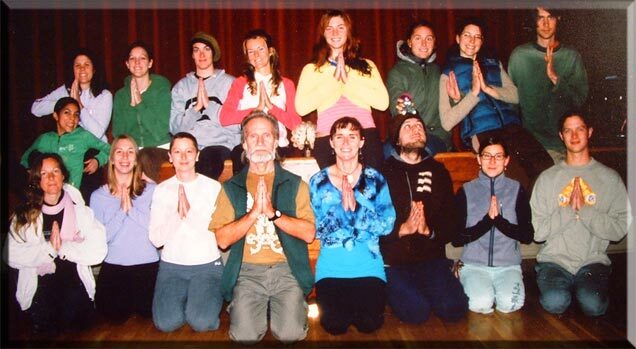 At Pyramid Yoga Center we recognize and encourage the sharing of knowledge and information between students who come to us from all walks of life. If you have received education or training in something that compliments the existing Teacher Training Program, we will happy accommodate you within the weekly schedule. Added to the documentaries, are movie nights where we watch movies that have relevant stories and messages related to our spiritual evolution. Other evenings we have yoga dances. Yoga Alliance is an International Organization for the quality and standardization of individual Yoga teachers and Yoga Schools worldwide. In completing our Yoga Alliance (YA) Accredited program, our students receive an internationally recognized teaching qualification. In accordance with the standards outlined by YA, our courses cover: There are of course several other yoga alliances and organizations around the planet which readily accept our certification. Techniques Training/Practice: Includes asanas, pranayamas, kriyas, chanting, mantra, meditation and other traditional yoga techniques. Teaching Methodology: Comprises the principles of demonstration, observation, assisting and correcting, instruction, teaching styles, qualities of a teacher, the student's process of learning and business aspects of teaching yoga. Anatomy and Physiology: Both human physical anatomy and physiology (bodily systems, organs, etc.) and energy anatomy and physiology (chakras, nadis, etc.). Includes both the study of the subject and application of its principles to yoga practice (benefits, contraindications, healthy movement patterns, etc). Yoga Philosophy, Lifestyle and Ethics for Yoga Teachers: An in depth study of yoga philosophies, yoga lifestyle and ethics for yoga teachers. Practicum: Each student must be actively engaged in the process of teaching, receiving feedback, observing others teaching and hearing and giving feedback. Also includes assisting students while someone else is teaching. Students will be awarded RYT200 or RYT500 hour certificates at the successful completion of the 8 or 12 week courses respectfully. Many on-site and offsite accommodation options available. Suiting your budget and needs, we have a variety of options available according to what you would like to do (subject to availability and demand of course). Check out the accomodation page through the button below. Pyramid Yoga in Koh Phangan, Thailand. 14 Years in Thailand. 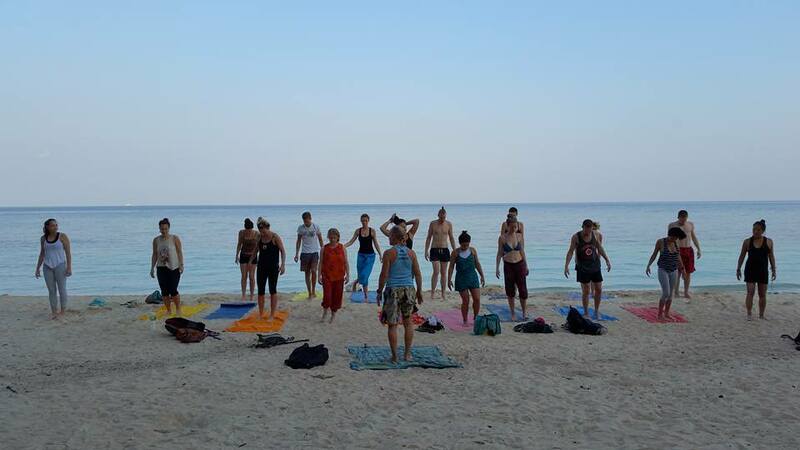 Pyramid Yoga was the first yoga school on Koh Phangan, and is still going strong with retreats, teacher training and daily classes. 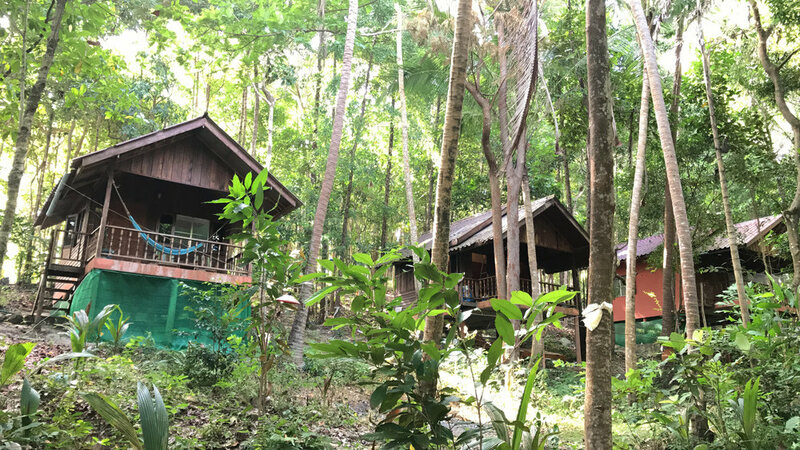 Take refuge at our beautiful mountain retreat center on Koh Phangan. Boasting breath taking ocean views, our Thai haven is nestled amongst coconut palms overlooking the tranquil Haad Salad beach. A longtime favourite of past kings of Thailand, Koh Phangan (pronounced "Koh Phangan") is one of three small islands just east of the mainland in the Gulf of Southern Thailand. Known for its white sandy beaches, warm emerald waters, abundant coral reefs and famous Full Moon Parties, the seemingly small island is large enough to entertain both passers by and long-staying wanderers. In only a short walk or scooter ride, our students frequent the countless nearby beaches - all perfect for diving and snorkelling, a variety of restaurants and cafes, natural waterfalls, hiking trails, Buddhist temples, alternative therapy practitioners, Thai-style herbal steam rooms, Sunday drum circles, numerous fresh produce markets and Thong Sala's weekend walk-through artisan market. Due to the mountainous topography of Koh Phangan, more than half the island has been designated National Park and is generally inaccessible. 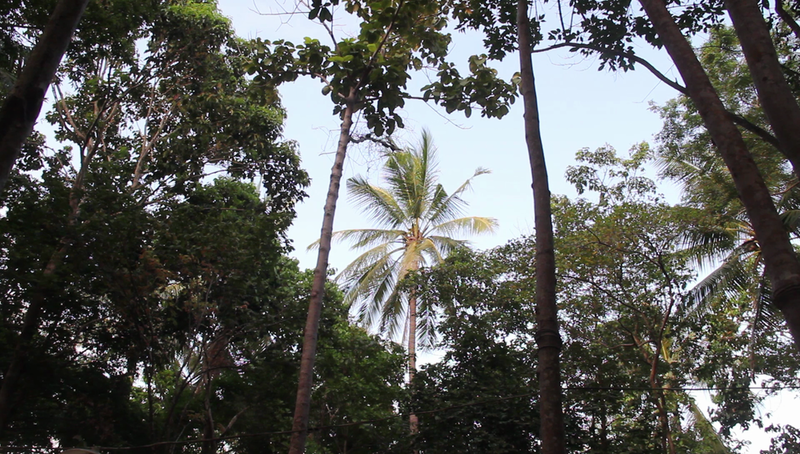 Large areas of almost untouched pristine rain forest supports a thriving environment of diverse flora and fauna. However, for those coming to us from the regular 9-5 grind and unable to disconnect entirely, never fear! Our jungle sanctuary is but a stones throw away from hi-speed internet, public telephones, ATM services and most other modern amenities to which we've become accustomed. For some more information about what to bring and the Thai visas, clink on the link below. "This course greatly enhanced my life in many ways. I learned valuable breath techniques, meditation, concentration tools, and healing methods that revolutionized my way of seeing reality and the mind-body connection. I left this experience feeling empowered and connected. I wouldn't recommend this course for anyone looking for a teacher training aimed at teaching in commercial studios, but rather to someone looking to transform their own life and deepen their own yoga practice and healing in ways that would eventually lead to transforming the lives of others." 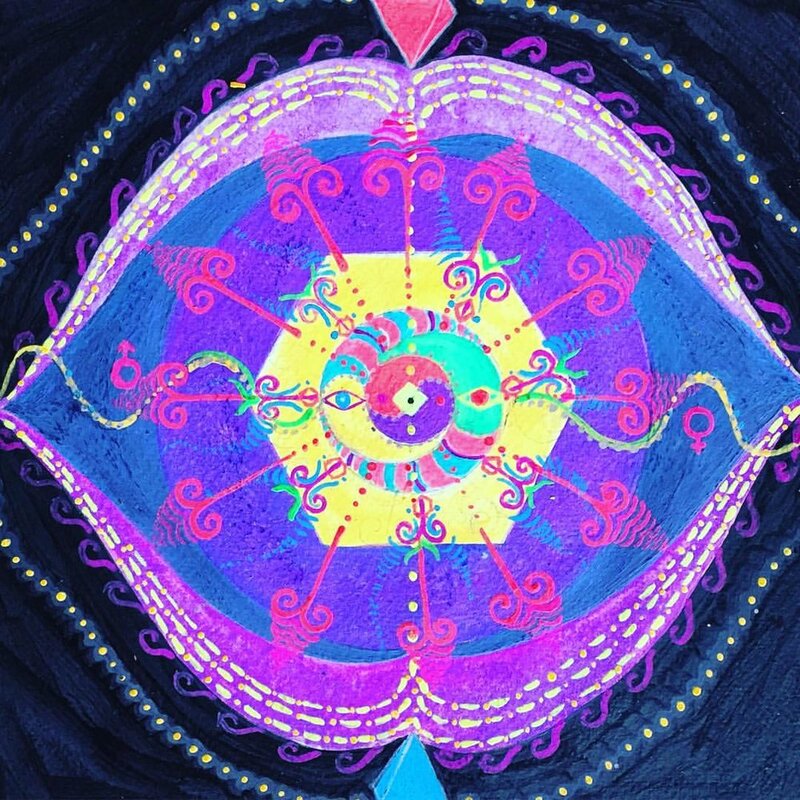 "Chakra yoga changed my life, being an instructor for many years, I decided to take an extra training just to refresh my practice, and learn more, but to my surprise, Chakra Yoga philosophy became an eye opener, and led me to have a better vision of how to teach others, once having a deeper understanding of myself and awareness of YOGA itself. The science of Chakra YOGA is revolutionary yet very ancient, David is very professional and very very knowledgeable, his 45 years of research have giving him a wide understanding of the body the mind the breath and how yoga connects even to those energies that surround us, like the electromagnetic fields of the earth and chakra connections. 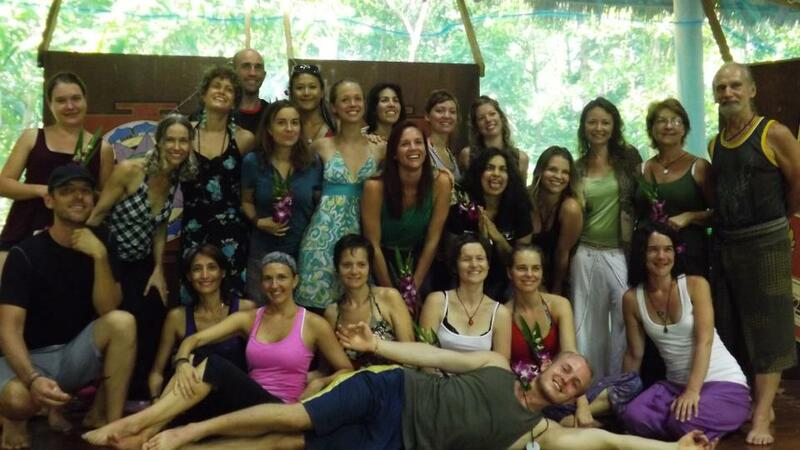 The program is so complete and it is worth to immersing yourself for 3 month in paradise to truly live like a yogini/yogi." "It is my personal opinion that yoga is the most complete and comprehensive system for study and development of the human mind, body and spirit"